Pay 50% at the time of Booking and remaining 50% at the time of check in - in our hotel. 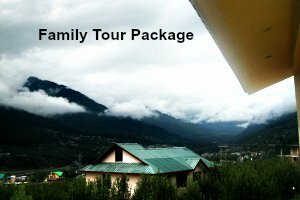 All Domestic Tour Packages are starting from Delhi or Chennai By Volvo Bus or Flight. Do you want to Book this Tour? Call Our Customer Care on +91-44-6531-5613 or +91-9600017031. You can also Fill the Booking Form in Right hand Side of the Page and we will call you back. Note : Adventure activities Should be done only through professionals to avoid the accidents & Serious injuries. The district administration & HPTDC has banned paragliding at the Solang Valley in Manali After the death of a tourist from Mumbai and many others. 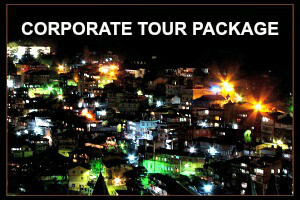 Book your tour through professionals and get the correct updated information about the places. For Bookings and Reservations Please Call on 91-9600017031, 91-7060507245 or 91- 44-6531-5613. Please Note that Client need to pay 50% Advance by online transfer and remaining amount need to be paid at the time of check in, in our hotel. If you have the privileged Membership card of Gautam and Gautam Group. Client don't need to pay any advance to any hotel except the online booking through our online portal and payment can be settled at the time of check out from listed hotels on our website. Note : Adventure activities Should be done only through professionals to avoid the accidents. The district administration & HPTDC has banned paragliding at the Solang Valley in Manali After the death of a tourist from Mumbai. River Rafting has also been a part of such incidents. Please be careful from the recommendation of taxi drivers since they have their commission in Adventure, Tour or Snow Dress, Due to that they may recommend you the vendor who is not professional and pays more to them. Later on which leads to a major accident.